THURSDAY, Aug. 24, 2017 (HealthDay News) -- Only one in three heart attack survivors in the United States goes for outpatient cardiac rehabilitation, government health officials report. Despite guidelines that recommend rehab for reducing the risk of future heart attacks, it's greatly underused, according to statistics released Thursday by the U.S. Centers for Disease Control and Prevention. Each year, about 790,000 U.S. adults have heart attacks, of which 210,000 are repeat heart attacks, the CDC report said. Exercise counseling, healthy heart lifestyle advice and stress-reduction tips -- which are part of cardiac rehab -- help reduce those odds of recurrence. There's another advantage as well: extended medical supervision after discharge, the researchers said. The report was led by Dr. Jing Fang, of the CDC's division for heart disease and stroke prevention. Fang's team analyzed health survey data from 20 states and the District of Columbia in 2013. It also looked at survey results from four states in 2015. In 2013, 34 percent of roughly 9,000 heart attack survivors entered cardiac rehab after leaving the hospital. Among the four states studied in 2015, that number was only slightly higher -- about 36 percent, the researchers reported. Looking at who did and did not go for cardiac rehab, researchers found women, blacks, Hispanics, younger adults and less-educated patients were more likely to skip the recommended post-discharge treatment. Lack of insurance was also linked to lower odds for cardiac rehabilitation. State-by-state differences were also significant. In Hawaii, just one in five heart attack patients entered cardiac rehab in 2013 compared to 60 percent of heart patients in Minnesota, the findings showed. These "suboptimal" rates put thousands of people at risk of another heart attack, the researchers stressed. "Recent data has shown that enrollment in cardiac rehab has been associated with improved outcomes and even decreased mortality in patients with significant cardiac events, especially those who have suffered a heart attack," said Dr. Rachel Bond. She is associate director of women's heart health at Lenox Hill Hospital in New York City. "Despite that, this paper highlights a problem that is widespread in our field," Bond noted. "Interestingly, this paper was able to show certain factors and groups that are even more underutilizing cardiac rehab," she added. "This included minorities, younger patients, low socioeconomic income patients, patients with less comorbid conditions and females." Bond suggested that "we may have the biggest impact at targeting these groups, as they stand to benefit as much, if not more, than any patient who has suffered a heart attack." The CDC researchers suggested that lowering out-of-pocket costs and standardizing referrals might help boost rates. Also, access to affordable cardiac rehab programs should become a priority, especially in areas with the lowest rehabilitation rates. "Health-system interventions to promote cardiac rehab referral and use, supported by access to affordable rehab programs within the community, should be prioritized to improve outcomes and prevent recurrent events," Fang and colleagues wrote in the report. Another heart expert said there is no downside to cardiac rehab. 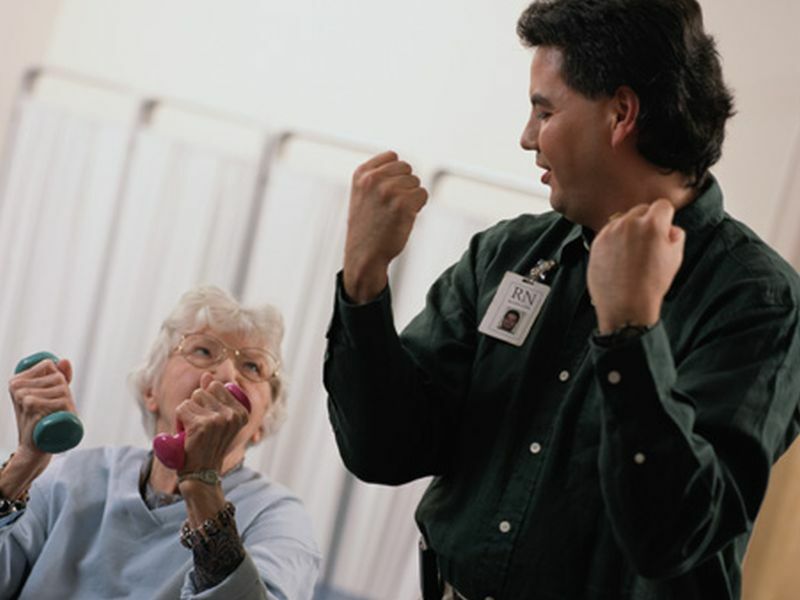 "Cardiac rehabilitation has been shown to increase life expectancy and reduce the emotional and physical challenges heart attack survivors often experience," said Dr. Benjamin Hirsh. He directs preventive cardiology at Northwell Health's Sandra Atlas Bass Heart Hospital, in Manhasset, N.Y. The analysis was published in the Aug. 25 issue of the CDC's Morbidity and Mortality Weekly Report.